Interlocutor: We are ready to receive the messages. Who is going to communicate? Johnakan: I am Johnakan Ur-el, thetan of this vessel. I perceive here many entities of low levels that, as always, are trying to disturb these small dialogues. To defend yourself against those spirits of Error, each one of you should wrap in love, projecting a protective bell around your body. The arrogance of these entities does not bear the radiation of Love. They relate this positive emotion to stupid innocence. For those who don’t know me, it has already been transmitted that in my previous incarnation I was called John Zebedee, and I was the beloved disciple of Master Jesus. My beloved Master used to send me with two more disciples to give his messages in different places, both in Samaria and Judea. We were not always welcome. We were attacked with stones, fists, sticks and sometimes we had to run an enraged mob. But also in many places we were housed with different delicacies. We received many gifts for transmitting the word of the Master, which was not understood by everyone, and even today is being questioned. Today, many controversial writers wonder why Jesus did not incarnate in the centre of Rome, it would have been a different story. The story is another! Or is it not? The story changed. When my Master said, "I have not come to bring peace, there will be fights between families," people of short understanding misunderstood. He didn’t come to divide, but religious interpretations can create schism, in countries and in families; they all want their interpretation to be the valid one. Where do I want to reach? For some, Jesus could be the Messiah; for others the only begotten. What was my Master in that incarnation? He was a Light spirit who incarnated to transmit the greatest Love message of all time. At that time, when I met him, I was a boy of fifteen and a half years old. I began to admire his way of speaking and thinking. I started realizing that he was an extraordinary man. It was brewing in my mind a pure and sublime feeling, until I realized that I loved that being with all my soul. He was a being who offered himself without reserve, an unselfish being. All these things are a tremendous ordeal for my master, because they are signs that everyone thinks only about himself. Even some who claim to be spiritual masters fall prey of the ego, overtaken by their surroundings. There are incarnated beings in this physical plane that still lack a lot to reach the true degree of master, because they are always going to yield to temptation, giving way to indifference rather than to love, meanness and not giving. Suddenly, each entity, individually, thinks: "I want such thing, I need another". The famous "I", the inferior I, manipulated by the ego, makes the person be the author and protagonist of the play. The irony is that such arrogance makes man believe to be closer to God. But where does man believe to reach God?… In the mountaintop? Of course, one would say, because there one rises! In a previous incarnation to the one of John Zebedee, when I was incarnated as Ananda, my cousin, Siddhartha, said a transcendental phrase: "Ignorance is the mother of suffering." My beloved cousin was not wrong. Ignorance makes human beings to confuse the terms because if you are going uphill, you rise. You only elevate yourself if you look into your inner self, because to raise it’s different. 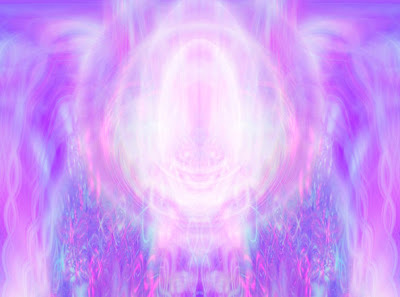 It’s ascending inside of you. The important thing is to put aside the "I want you", "I need you”, because that is a feeling that makes suffering by creating a dependency. How to leave aside the "I want you"? Isn’t that love? No, that is "necessity". Not to be confused with "I love you". Almost all of you say, in a relationship, "Come, I need you," "Hurry, I need you". How much “I need you”? What do you mean, I need you? It’s always on the basis of oneself, to feed the ego. When do you provide? When do you give? That’s because true love is giving. Love is feeling the same vibration of the other. This is called "vibrating in syntony": “What a coincidence, we are both thinking the same thing!” "I don’t believe it, I was about to call you. You won me by two seconds." "If you have not called me, I would have called you!" "You took the words out of my mouth; I was going to tell you the same thing." Doesn’t it happen to you? This is vibrating in syntony. But, why don’t we do it more often? Because ego transforms a person into an absolute protagonist and nobody else has a place. The lower self prevents connecting us with the Superior “I”. Ego is the lower self, the susceptible one, the one who seeks to excel, who offends, doubting everything, who wants to grow "even at the expense of..." If the human being becomes aware of his greatness he would be humbler. The afoul thing happens when the one that becomes aware is the ego and then, the one that takes control is pride. I remember the Last Supper that I shared with my beloved Master, where several of the apostles were discussing at a particular time about who was the most important for the spiritual mission. Jesus interrupted, enquiring: "Who do you think is more important? Who sits at the table or the one who serves you? Don’t you think that is the one that sits at the table? However, I am among you as the one who serves". After saying these words, the Master rose from the table, took off his mantle and taking a towel, he fitted it to his waist. Then turned water into a small bowl and began to wash our feet. I was paralyzed by the shock and I could not react. When it was the turn of Peter, he said: "Lord, are you washing my feet? Jesus replied: "It's difficult for you to understand what I am doing now, but you will understand it later." – I cannot allow you to wash my feet. I will never humiliate you. – If you don’t let me wash them, you will not be at my side. – Then, Lord, not only you can wash my feet, but also my hands and my head. When my beloved Master completed his task, he explained: "If I, who you consider Master and call me Lord, have washed your feet, you should also wash the feet of each other. This example gives you an understanding about true humility. There is not need to compete to take control of a group, but to serve your neighbor. Don’t let pride to guide you, because it would be impossible to convey the word sincerely". He looked at me in the eyes and then looking at all the others, he added: "You know that I love you, and in the same way, I ask you to love each other". Then he closed his eyes and murmured: "Father, I ask you that the love you have given me remains in them." This memory is valid for teaching you to be aware of how important it’s in every human being not to be invaded with arrogance. It’s not easy to live impersonalized, without the ego taking part. You should know that “everything that emotionally unbalances you happens because your ego is involved”. Jorge B.: At this time, are negative entities attempting to interfere with the message? Johnakan: Yes. They don’t bother me, but they can disturb those present, making you disperse, creating some confusing ideas or letting them be seen like fleeting dark bursts. You should not worry, because no spirit of Error has power over you. If you elevate your thinking, nothing can disturb you. I also want to clarify the wrong idea of people who believe that a spirit can take possession of an incarnated being against his will. That’s a dangerous and completely false belief. No spirit or any demon has any power to try to put under a human being. No entity can transgress the free will of another one. Spirit possessions that are publicized in some spiritual centers or in some temples can be explained: 1. Perhaps they are psychologically disturbed people. 2. The person in question lends himself to be "taken", because he was previously conditioned to it. I must also clarify that there is no "divine spirit" who, as he enters the person destabilizes him, creating convulsions to him. That may fit into one of the above two examples, with the aggravating factor that makes the church member believe that the person is being possessed by a spirit of salvation when, in fact, that so serious picture is caused by a demon or a rebellious spirit. Know that the true access to the "Holy Spirit" is being illuminated with a Divine Energy. And that would never lead to an adverse effect in the person, but a state of ecstasy and total harmony. Johnakan: The lights can be visualizations of superior entities that might try to communicate, leaving in your mind an idea or a concept. You don’t have to fear. In other cases, there are spirits of darkness who seek to confuse the person so that he trusts and open himself for a wrong message. It’s not so with you. You could receive a very important message that is going to serve for a future activity. And if you ever doubt about the intent of the entity that you view, all you need to say: "In the name of Jesus, if these are Light entities, continue at my side. If you have to communicate a message, I’m at your disposition. But if you are entities of Error, in the name of Jesus, disappear". And they will automatically disappear. Karina: Was the language of Master Jesus, when he was incarnated, derogatory or insulting to the people, seemingly crude and ignorant, to whose he spoke? Is it true that on some occasions he ordered his disciples to steal chickens to feed the crowd that followed him? My question is justified because with a previous medium, this is what the entity claiming to be the Master Jesus said. The Heavenly Father provides for the birds of the sky, which don’t sow seed, neither harvest, nor gather into barns! Are you not worth much more than they? Seek first the kingdom of God and all those things shall be given in addition". So, how could he send us to steal? We could eat roots before taking someone’s food. Karina: Clearly. Were there moments of grief and joy? Johnakan: Misunderstanding of many caused us grief. Jesus was much afflicted with people for their lack of interest in the spiritual world. What we did joyfully was conveying his word. Although at times, we were not well received. In some places we received sticks and fists. But in most cases, we got vegetables... and yes birds, and yes lambs and we shared wine with our hosts. There were people who were very thankful of the message and we enjoyed talking with them and, by all means, the food. Interlocutor: What can we know about Transfiguration? Johnakan: It’s a very sensitive issue. Know that the Transfiguration chapter may be one of the most controversial issues, because the story has two key points. Being incarnated as John Zebedee, my beloved Master had led us to Peter, my brother James and me to a mountain top, in a remote area, with the pretext that we were going to pray. We climbed a steep hill for several hours and, upon reaching the top, we sat back to rest. Jesus was standing and slowly walked towards some bushes. I raised my sight and I noticed that his face began to change, projecting a slight gleam. The brightness was increasing its volume until showing a glowing tone. Then, it expanded all over his body. At one point, Jesus vibrated with such intensity, that in the middle of the night, that radiance caused that our dresses looked white. Almost instantly, from one side, two figures appeared shining just like the Master. They approached him and began to talk. – They are Moses and Elijah - Peter whispered in a low voice. I was paralyzed by the shock. I didn’t respond to him. – They seem men from another world - I thought, not knowing how close I was from the truth, because my beloved Master was at that time communicating with beings from another stellar system, which they had come to exchange philosophical ideas. It was clear that my Master was known by that alien culture. With a special ray, they had changed the vibration of Jesus physical body, making it subtler and consistent with the vibration of those aliens. The Transfiguration had been a transmutation in the Master body in order to efficiently carry out such communication. Dominating his fear, Peter approached them. Breathing deeply, he talked to Jesus saying: – Lord, since we are here, perhaps we can be of some help. We can make three tents so that these prophets and you can spend the night. My beloved Master made him a gesture, preventing Peter from approaching any farther. It was logical, as the three figures were glowing, with a shine so strong that they could not be touched. The radiation emanating from them might have burnt our skin. Then, a light came from above. I saw it there and I noticed that the light emanated from a flying object. A cloud covered the three silhouettes and a voice said: – This is my beloved Son, my chosen one. Listen to him and do what he tells you. We fell down to our knees, closing our eyes. A minute later I heard my beloved Master, saying: Stand up, don’t be afraid. When I looked up, the light had gone and Jesus was alone. He approached us and said, "Don’t be afraid. When we descended the hill, he asked us not to tell anyone about the vision we had had. – Master, I asked him with curiosity. Peter said you talked to Moses and Elijah that have resurrected from the dead. – That’s not so, said Jesus: I say to you: Elijah came incarnated just short ago, before I was born, but they didn’t recognize him and have done with him whatever they wanted. We realized that Jesus referred to John the Baptist. Let us return to the two key points of the story: The first, which refers to the presence of aliens who already knew my beloved Master. The second, it shows that Jesus speaks of reincarnation. That’s one of the few points that the Council of Nicaea in the year 325 forgot to delete. Interlocutor: Had ever Master Jesus, a so high entity, questioned himself about the fact of wasting time with those people, so ignorant, which probably didn’t understand anything of what he was saying? Johnakan: Master Jesus questioned other things, but he never questioned teaching the ignorant. Those people deserved all his love and all his respect The opposite would have been discriminating and Jesus was opposed to any discrimination. He never questioned any follower, or anyone who would like to learn from him. Because, Master Jesus was Love and he is Love. And where there is Love, there are no questions. Yes, there can be censorship to try to correct someone who raises something wrong. How many times do you think he censored Peter? How many times appears in the writings? And if I say that he was censured at least six times? Peter was fearful. Once, in the Garden of Olives, he told Jesus with distressed voice: – Lord, you have said that the one who is going to give you away is close. Let’s cross the Jordan and get away from here. – Stay away from me! Don’t you tempt me! - Jesus replied at the time. Why did he respond with that phrase? Because the Master was incarnated and had doubts. Again, Jesus had said to us that his days were going to end up in Jerusalem, but first he was going to undergo much in the hands of the elders, the priests and scribes. Peter called him aside and tried to reprimand him: – Keep them away from you, Lord! None will make you suffer! – Stay away from my sight, Satan! - The Master shouted him - Those who want to save his life, will lose it... But those who lose his life for me will find it. Jesus was doing two things simultaneously: he censured Peter and gave a message in parable form, giving the right importance to material and spiritual life. Interlocutor: Did Master Jesus call Peter "stone" to suggest that he considered him a strong and solid man? Johnakan: In fact, often that expression was a loving irony of the Master. Because Peter, although fearful, was very stubborn! Florencia: Did at any moment Jesus announce the return of Mohammed? Johnakan: No, that is absolutely false. There are many things that the Master had not said that have been written. There are other messages that Jesus has communicated and have been deliberately concealed. There are very controversial gospels. In one of them the infant Jesus is portrayed as a little pervert that took lives by whim. That is a shame and a treacherous attack to our beloved Master. Obviously, there are many false stories. But also, there are many others that are true. Are there only four gospels? No, there are many more and they give unknown references on the life of Jesus. Of course, not all are truthful. Interlocutor: How do you recognize which are true? Johnakan: Let yourself guide by your heart, by your common sense. I am not going to tell you. You will deduce if you are guided by your consistency. If you see a message of infant Jesus who by whim kills another child because he takes his marbles, don’t believe in that. Don’t believe in a capricious Jesus because Jesus is Love. Don’t believe that Joseph censured him. Believe in a Joseph who taught love to a young Jesus, eager for knowledge and that, later, he learned from a teenager Jesus, already experienced in talks with several teachers and doctors of the Law. Interlocutor: Let’s take another topic. Materialization and dematerialization that some illusionists do at present time… are they similar to those Master Jesus did, for example, when materializing bread and fish? Johnakan: In the case of illusionists, all their acts are based on truncated assemblies and the only role that fulfills that spectacle is to reward the ego of the players. Multiplying bread and fish was necessary because there was a crowd of people who had followed us to Bethsaida and they had nothing to eat. You cannot compare an altruistic episode with a lavish entertainment. Those unfortunate episodes can also be seen in parts of the East. With certain effects, some "masters" who claim “to be sent", the only thing they do is to attract people to achieve their personal ego. A true spiritual master gives no importance to the transubstantiation gift, but to the gift of the message. Because, the one is the message that can make them become aware of the spiritual pathway and not the miraculous spectacle. Other masters say they are sent. All of us are sent! We all have a mission to accomplish, either through a lesson to learn or serving our neighbor. Karina T.: Returning to a previous topic, Could it be a spirit of Error, the entity who through the other medium said to be Master Jesus? Johnakan: Sometimes some mediums interfere with the messages, adding things that are of their own. Other mediums, for various conflicts of ego, modify the communication to please the entity, without realizing that, in reality, they are spoiling the message. Interlocutor: Does everyone have a "Guide" or, as some call it, a “guardian Angel"? Johnakan: All incarnated beings have an Angel that guards him and a spirit guide, as orientation… but not all hear “that inner voice”. Interlocutor: Do they have any authority over us? Johnakan: I already said before. No entity has spiritual authority over man. This must be very clear. The Absolute gives free will to all their children as a show of love. Alfredo L.: It’s being spoken of great changes with the arrival of the Third Millennium, of what nature will they be? with such depredations in the forest and so many toxic wastes. Johnakan: It’s very difficult to achieve a balanced regime. Poverty is an issue that transcends this session. Alfredo L.: Will there be poverty even in the Third Millennium? Jorge B.: What about the changing of consciousness? Johnakan: It must be achieved! Each one has to achieve it and has to transmit it. Because if love prevails over selfishness, I can assure you that the fate of mankind will change. We are playing the destiny of the species and you don’t realize it. You believe that the reserves of the world are endless. Bear in mind that the only immortal thing is the spirit. May the Absolute bless each and every one of you. Interlocutor: Thank you very much for the messages. Until the next session. There are spirits of Error who disincarnated in a violent manner, suicide, murder or accident. Some of those entities might rebel against their fate and tend to offload their resentment, trying to harass people. Generally, they choose the night to do it, so because, psychologically, people are more inclined to view things or perceive sounds. If you are wrapped in Love and overcome fear, no entity may cause you disturbance. This entry was posted at Monday, June 08, 2009 and is filed under Heaven Responds . You can follow any responses to this entry through the .